Impact of Audit Frequency Research Papers discuss an order placed for a research proposal with a literature review. Impact of Audit Frequency: The Impact of Audit Frequency on Internal Quality Control of A Business Environment. Since the passing of the Sarbanes Oxley Act of 2002, corporations are implementing an internal auditing plan to improve quality, minimize financial threats and protect investors. Despite these enhanced standards for all U.S. public company boards, management and accounting firms, many companies fail to develop and deploy a comprehensive internal auditing program. 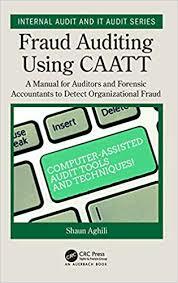 Internal auditing is an independent, objective assurance and consulting activity designed to add value and improve an organizations operations (Optimizing the Role of Internal Audit in the Sarbanes-Oxley Era). Utilizing a systematic discipline approach, an internal audit program should consist of regulations that govern its internal organizational structure. Corporation and accounting scandals, such as Enron, Tyco International, and World Company profoundly changed the business environment for companies. The fortunes of a company can be tied to the internal audit (Optimizing the Role of Internal Audit in the Sarbanes-Oxley Era). Significance of the study. Why this study is important; who will benefit? Review, evaluate and synthesize at least 20 literature relevant to research problem. Must emphasize relationship to research Impact of Audit Frequency. Sarbanes Oxley Whistleblower - Research papers on Sarbanes Oxley Whistleblowers look into the whistleblower laws and how it affected the Sarbanes Oxley scandal. The NYS Public Authority Accountability Act - The NYS Public Authority Accountability Act was enacted in 2005. Corporate Governance Lessons of Enron - The Corporate Governance Lessons of Enron Vinten writes that one in four auditors believe that Enron was a business failure. False Claims Act - Research papers on the False Claims Act look into the American federal law that imposes liability on people or corporations who defraud government programs. Human Resource Management Research Paper - Research papers on whistle blowing defines whistle blowers as people who inform regulatory bodies about construction and design flaws. Business Ethics research papers discuss the corrupt business practices. Ethical Perspective research papers explain each of the four ethical perspectives. Unethical Corporate Practices Research Papers - Ethics therefore deals with what is morally or ethically right or wrong in human behavior. The Accounting Cycle - In The Accounting Cycle, there are five members of the accounting department that have their own specific responsibilities. Paper Masters writes custom research papers on Impact of Audit Frequency and discuss an order placed for a research proposal with a literature review.